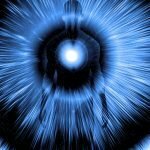 Dear light worker in a series of short articles I would like to share some of my personal experience and information about the 12 layers of DNA, about activating our DNA and my experience with the universal love that we call God. 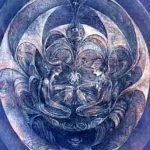 In these articles along with my own experiences I will provide some references to information that I have found very helpful on my way to “enlightenment”. In no way do I claim to be enlightened or to know all the answers, but I do know that I have touched the face of God and I know one of the possible directions in which you can travel if you seek the light and the truth. I will present these short articles because I personally have had a really hard time while trying to find any meaningful information about DNA, its activation and ultimately God . There are scores of articles on the internet just about anything; and many people that feel enlightened, but real information is hard to come by and most people just copy and paste what ever their ego wants to believe and not what their intuition tells them. So once again everything I write is my own opinion and for that reason please always use your own intuition and feel what is right or wrong for you. In general it is really important to try to distinguish between what is your intuition and what is a projection. Intuition is a connection to our higher self while projection is what our ego wants us to believe. I have a neat example to demonstrate this in a discussion of two people that I have heard recently. It was an interview of one enlightened soul by one that is enlightened slightly less. Moderator: Did you know that Karma of the whole country is over? I know because many people have sent me an sms saying that it is over at the same time. Guest: Wow that would be really nice, but it is just a wish. Moderator: No it is not, many have told me the same fact and at the same time! Why do you think it is not? Guest: You still have a Karma, the country is just a label for a group of people and you are part of this group. How is it possible for the country not to have Karma if the people in it still have a Karma? An argument arises and the results get nowhere really fast. The moderator firmly believes that the Karma of the whole country has just ended and nothing can change that. But what do you really think: is it possible for a country where there are millions to suddenly loose its Karma and end the Karma of all people in it? Or is just a beautiful wish for some people and a very strong projection? Similar analogy to the 2012 issue, those that know a lot will tell you that profound things are happening, but nothing big or catastrophic will happen to the ordinary human being. Those that know a little less will predict 100 meter tsunamis. Is it possible that something else will happen, or maybe it already is happening? Maybe it is a 10 000m wave of spiritual energy that is not visible? Is it possible that it is just changing our hearts, our Gaia, the compassion of people on the planet or just our vibrations? All possibilities are in our hearts, we have free will and we are co- creators . We have the power of love and compassion. We can love each other, the planet with all its creations and we can love God. Nothing else is needed to make the world a better place with higher vibration. If anyone tells you that they have the only right path that leads to anywhere especially to God be very very careful. “Most”gurus will tell you that everyone has to find their own way and that there are as many ways to God as there are people looking. Here is just a little about me to give an open suggestion as to what may help you a lot on your way. I have been searching for about 20 years. I have been making little or no progress as it seemed to me at that time. Well what has seemed to me as no progress at that time was slow process that led to the most important moment in my life. And looking back at my life I can now see so many small nudges from God that it is just unbelievable. Even more unbelievable is that I did not see it before. Well I did not see, because I was really blind and very impatient. I have been meditating for about 14 year. I have studied Buddhism, Hinduism, the Vedas and I am trying to expand my knowledge about ancient Egypt, the Kabbalah and The great Teachings of Christ. I believe Love, Compassion, and Light is the only ultimate truth. The pink flame of Christ is the blanket that can comfort and heal anyone. I truly do believe in Jesus Christ, Buddha and other prophets and masters. The irony is that I had to go to a Brazilian shaman and the wholly shamanic Sacramento for expansion of my consciousness that has allowed me to finally know what God truly is along with his great love, wisdom and power. It is the reason that I now believe in Jesus and that I know that the God and Holy Mother are always watching, following and helping us to find them on this planet of free will and anywhere else in the universe. And from what I do know I can tell that the most important teaching to me was to live here and now and never lose a second of our sacred lives to fear or negative emotions. Live and strive to be a better human being. Not a perfect one, we are not perfect, we are humans, but one that is radiating love, compassion and light everywhere where he or she stands. Recently I did participate in a healing ritual as a part of a group of healers and what I have seen in the eyes of those being healed after the ritual was the greatest thing I have ever seen in my life. The joy, love and also sorrow that was being let go of is a pure gift from God and the Divine Mother. And it was the most profound feeling in my life. If you still reading at this point you are a being of light so to you I present my knowledge and I hope it will help you find you own happiness and love. Now here are some questions to start with: What is DNA? Have you thought about it? Do you know it radiates light? Do you know the probability of randomly forming a DNA chromosome is about 1×10^260? Do you know that the DNA is magnetic and that the magnetic fields of all the trillions of DNA molecules in our bodies create one huge quantum field around each one of us? Wow a quantum field what is that? Well it is what we generally call the 12 layers of DNA. There is more, but the first 12 layers we have some channeled information about. The first layer is the only physical layer, the double helix is layer one, the other layers are all quantum and they are what makes us human. We did not have all the layers all the time. Some are more recent than others and we have had them all for about 100 thousand years on this planet. It is just amazing, but we all have the divine blue print in our bodies, our DNA is our connection to God. As Jesus had said we are all made in the image of God, but how can we be in the image of God if God is everywhere, he is everything and he is the whole universe and all universes. How can we the humans, humans which are no more than a spec of dust, be in the image of something so grand and divine that it is called God? 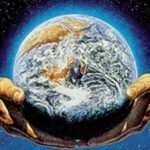 How can we be part of the creator and be a co-creator? Well it is simple, it is because we have a part of the divine code so deeply embedded in our every molecule. We have DNA and DNA is the divine blue print. The name of God is in our every cell. Our DNA is same as part of god’s DNA. Jesus had once said I am the son of God and so are you. He meant that literally you are also the son of God. The only difference between us and Jesus is that he had all his layers of DNA fully activated and we have only about 30%. 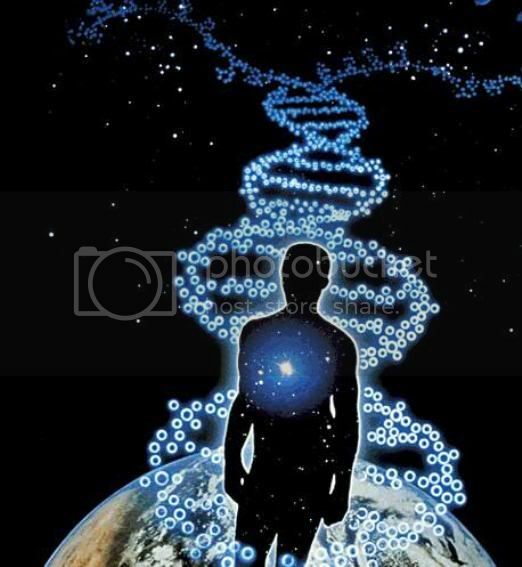 All the masters on this planet had their DNA fully activated and that gave them a connection with the universe. They understood the small just as they understood the large and needed no instruments to do so. They knew it through their quantum connection with the universe. Our ancestors had their DNA activated more than we do. That is why they knew more about the universe than we deem is possible without modern telescopes and other instruments. The shamans, the Lamas, the masters, Jesus, Mohamed, Buddha all had their knowledge from their quantum DNA. We see the world all in a straight line, but in reality it is always in a circle. There is no past and no future, there is only the here and now and the here and now we see from different points of view and that gives us a perception of space and time. But from the point of view of your DNA there really is no past or future. 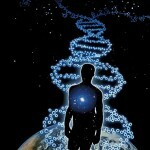 Everything that we have been and will be on this planet is in quantum DNA. There are many parallel lives that have one master and that master is your higher self. All your Akashic Records, your angelic name and your divinity is in your DNA. Yes you truly are a part of the creator and all you have to do is to find and claim your divinity and it will be yours forever. Science tells us that only 3% of our DNA does anything and that the rest makes no sense, that the rest has no purpose and even that it is just random junk. Do you feel as being 97% random junk? Well I do not, so what does the rest of the DNA do? Well it talks to the rest of our quantum DNA. 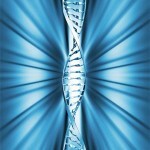 If you wish to know about layers of DNA and a lot more go and visit www.kryon.com and listen to his channeling not only about DNA. Also the channeling by Darryl Anka – Bashar are very spot on and it is up to you to make your opinion of space time, you and the creator. I wish you all love and light forever on any path that you choose to travel. May God bless you, HARI OM! Contributed via email by a reader of Timberwolf HQ. Next Post → Can Our Animal Guides Manifest Themselves In The Animals Around Us? Dear Casin Wolfe, I would like to answer your post directly as it’s content is very close to my heart and my own experience….raised as a Roman Catholic I too, very very seriously balked at the whole God notion, I grew to hate what preachers, priests and nuns tried to ( unsuccessfully) indoctrinate me with, their stories were to me no different to Nazi or Communist propaganda…no different!! I could never accept an image of a man suffering on a cross as a form of inspiration of any sort!! Never!! …….I rejected spiritual matters outright due to being “over” the whole religious slant on the meaning of life. After outright rejecting all spiritual interest I had three amazing ( as Joseph Campbell, the great mythologist would describe) peak experiences of spontaneous At-One-ment with what I can only describe as the divine/universal ONENESS…it literally blew me away ( mouth open for many months at a time) and I very nearly went mad as well, scared witless…..not knowing what to do with it……I was 16, then 17, then 18….these three instances of being suddenly pulled out of my limited here and now experience into universal consciousness was put into perspective by what I did next….thankyou to whatever intuitive guidance was showing me the way home… .in my bachelor degree course, I began to study physiology and anatomy and this brought me back in a very grounded way to the wonder of life, the magical and amazing body we each inhabit and it reinvested in me a belief in source, divine creation minus the whole religious story!! Basically it told me that some ‘energy’ whatever that is…..was divine, perfect, magnificent and just gob-smackingly ( Aussie term) incredible!! And the religious take on it left much to be questioned and refuted!!! So it set me back on track to a god force energy I could resonate and align with!! Ever since I have questioned and looked for MY WAY home….I came to understand that religion, all religions are a better or worse attempt by men..to interpret wo/mans innate need to find spiritual meaning, to delve into our souls and find truth……in many instances men have recognised how essential to life this desire to find spiritual meaning is and have taken advantage of this passion/need in people to give a modicum of truth combined with mostly socio/cultural indoctrination and politial authority control, turning our desire for soul truth and inspiration into an opportunity to immunise us with fear, pain, hardship and lack, struggle and hate….ways to control the masses in the name of “what’s good for us” and ” what we can do for you” YEAH RIGHT!!! For example I was always stunned with the ten commandments….telling me not to do what it would otherwise never even occur to me to do, haven’t you ever been warned to not do something and, you end up massively offended at being told to NOT do something, that, it’s not even in your nature to ever consider doing. Very very clever brainwashing technique to develop in you the belief that up to now you’ve never even considered, that you are a sinner, guilty of this “original sin” that scars you in a way that has just crept up on your unsuspecting innocence shocking you so much you are paralyzed into the inculcation….very very naughty ploy…religious brainwashing control mechanism!! So no wonder you balk!! No wonder it makes you feel awkward and frightened about searching, experiencing and wandering out into the unknown expansiveness of the universe, that’s why the concept of a God was put there, to protect you, make you believe you needed to be protected if you ventured past the presented information, it was specifically created to present the unknown as frightening….well for me in my religious upbringing it was, and I was warned about going out there on my own….without God there to protect me…that begs the question yes? Protect me? From what? What the hell is out there? Hell ~ now, there’s an interesting concept and what it does to our psyche!!! Who set upon us in the middle ages the idea that the world was flat and you would drop off the edge if you wandered beyond where you should? This powerful idea remains with many of us long after we learned it was wrong!! My advice to you Casin is to realise that “fear” is a a man made concept of false expectations that appear real, re-read Jan’s answer to your question and be willing to find the truth, your way….follow your feelings and only what’s comfortable and you WILL find your way! You are safe, you are goodness and you are a child of the universe! If any religiously tuned people feel uncomfortable with my words please understand that this has been my journey, my karmic unfolding and personal resolution experience….and as so, it pertains to me and others only to the degree they can relate to it, if you can’t or don’t then it’s because your path has taken you down different set ups and experiences and for you, religion may have been comforting and secure and a totally different experience, this is the nature of karma, it is our own energetic set up that we are each here to explore!! Thanks Jan, thanks Timberwolf….great information and expressed beautifully…..as this article speaks to me I summarise it for myself to say, as Jan says, we each get our own meaning…..we are all ” unlimited potential” and our DNA proves it, in the early days of my journey of self revelation and enlightenment I used to say…..man oh man….when will this end? From this you can see it was a bit (lot) of a struggle……… there I was eliminating the “junk” and chasing the light ……….nowadays as it gets easier, not less challenging, but much more fun and adventurous, I say to myself….I hope it never ends, I don’t want this journey of discovery to ever end……….my intuition tells me our DNA has a self creating potential so that means to me, that as I create DNA structure, creating more territory to navigate actually creates more of itself, growing with exponential potential which has compound growth implicit to it’s process, very exciting indeed!! Very inspiring article. It shows how little we know about our wonderful world and that evolving to a better humanity truly lies in our own hands. Thank you. Dear reader, I would like to give you some suggestion, but I am not sure what is that really troubles you. 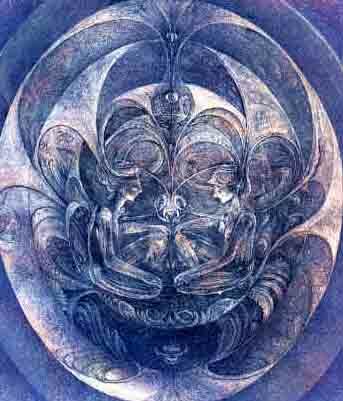 The most important advice is that all the old master we enlightened and that all path lead to the creation. It matters not what you call the creation, creator, universe or God, just as it matters not which path you travel to get there. It is how ever important to retain your power in your hands newer give it to someone else. You are the co-creator and you alone have all the power of the your universe to use. You do not need to look for the creator in one house of fate, there are many to choose from and to me the fastest way was through the spiritual path of shamanic work, but you have your own path. The good thing is that the creation wants to be found so if you look “it” will help you and if you sincerely ask the creator or maybe the divine mother if it is easier for you they will help you no matter what path you take. Just remember that the uni-verse is one, but it has many names and ways to find it. And to continue: what is it that makes you feel uncomfortable? Why do you feel the way you feel? If you look inside and find the answer then you can find a solution. the idea of us being something so small and so large all at once is really a little frightening. It was a very enlightening article, and I hope to read more like it soon. I do have a question. How do you move foreword with this kind of enlightenment if the idea of God makes you uncomfortable? Other religions do not, but I find I can’t even hold a bible or walk into a church without shaking in my boots, and I’ve no idea why. Anyone have any suggestions? Thank you all for your contribution and love. Thank you for sharing such an intense piece of work!! The author of this did an excellent job. As they said, we are all created in the eyes of God and I truly believe that! We each have to find that place of light for us and until we do, we are truly never a complete and whole person. May the light shine upon you and the author! Blessings for a wonderful night! Thank you for joining us here at Timberwolf HQ. I am very pleased you found the intensity of this author’s work to be edifying. There is certainly a lot to take away from this particular article. I hope to see you back again soon. You are welcome. I am merely to conduit by which this article was published. All thanks for its illuminating qualities go to the author, Jan Pichert. You are most welcome. I only hope the author will allow me to publish their name so that they can receive their due.